Murder by Gaslight: The Sailor and the Spiritualist. Alfred and Althadine Smith had been married for more than twenty years but over time their lives had grown apart. He became a Great Lakes sailor interested more in drinking and carousing than in raising a family; she became a professional clairvoyant. When Alfred’s neglect turned to physical abuse and Althadine filed for divorce, she had the foresight to send the children away and bring in a friend for support and protection, but her clairvoyance failed when she was unable to predict the tragic consequence of letting Alfred stay just one more night. Alfred Smith and Althadine Fisk had grown up together in Oswego, New York and married in 1865 when both were still in their teens. Outwardly they appeared to be happily married, raising two children, Dora and Wesley, but their marriage had never been easy. Alfred was a sailor on a Great Lakes schooner, a job that kept him away from home during the summer months, and although he was well paid, over the years he had become more inclined to spend his wages on drunken sprees than in supporting his family. During the winter months he was happy to live off his wife’s earnings and, on two occasions sold the household furniture when Althadine did not bring in enough to meet his needs. Althadine Smith became interested in the growing Spiritualism movement and was soon aware that she had the ability to communicate with the spirit world. She would go into a trance and allow an array of spirits to communicate through her, including an Italian girl, Thomas Paine, several Presbyterian ministers and Gypsy Madge, who was her controlling spirit. She advertised in newspapers as a clairvoyant and trance medium and claimed to have the ability to see into the future and predict stock and commodity prices. Through her growing practice as spiritual advisor, Mrs. Smith was able to support herself and the children during the summer months, but when Alfred was home from the lake there was not enough money to support them all. Albert Smith was constantly arguing with his wife and sometimes the fights would lead to physical abuse. Around 1880 Althadine had all she could take and left Oswego for Chicago. Alfred planned to give away the children and take off himself, but Althadine returned and they reconciled. They decided to move to Cleveland Ohio for a fresh start. 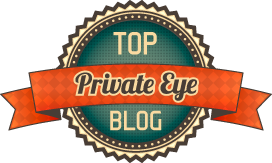 In Cleveland Althadine Smith did quite well as a clairvoyant with many prominent and wealthy clients. She gave regular lectures at the West Side Progressive Lyceum, a Spiritual organization that she founded and helped manage. But for Alfred, very little changed. He was still a lake sailor, gone during the summer month and when he was home the old patterns reemerged. He was abusive and often drunk, contributing little to the support of the family. He and Althadine were continued fighting until Althadine had enough and threw him out. They had a nice apartment in a building called the Crocker Block on Superior Street. It included a small office where Althadine could meet privately with her clients. In the hall outside she hung signs advertising her business. But Alfred, who now lived in a sailor’s boarding house, would hang around outside and harass the clients making it impossible for Althadine to do business. On Friday, January 29, 1886, at the urging of her friend and fellow Spiritualist, Mrs. Louisa Jane Wilson, Althadine went to a lawyer and filed for divorce, charging Alfred Smith with gross neglect and extreme cruelty. She also petitioned for custody of the children and to restrain Alfred from selling or removing any household property. 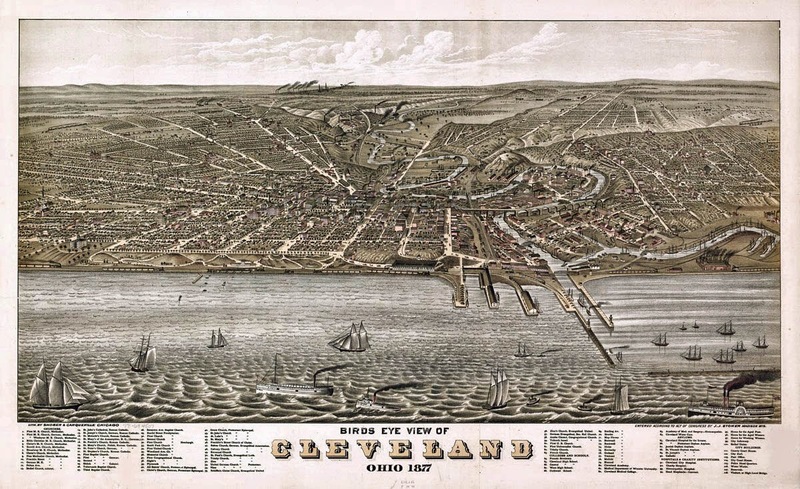 The divorce was granted and the story was published in two Cleveland newspapers soon after the papers were served. Althadine knew that Alfred would cause trouble so she sent the children to stay with friends in different parts of the city, and arranged for Mrs. Wilson to stay with her for companionship and protection. In addition to Mrs. Wilson, several other people were at the apartment Saturday night, including Dr. J. F. Sell another Spiritualist. Though Dr. Sell was married with two children he was having a relationship with Mrs. Wilson and they would use the Smith’s apartment for their trysts. This was a constant source of contention for Alfred Smith. Smith was drunk when he arrived at the Crocker Block to beg his wife to take him back. Althadine packed Alfred’s clothing in a satchel and put it in the hall, but she would not let him into the apartment. He climbed in through a transom between the hall and a room that served as both bedroom and kitchen. In the sitting room he saw his wife and flew into a rage, grabbing her by the arm and twisting it. Althadine began screaming and Mrs. Wilson ran outside to find a policemen. By the time Patrolman John Carroll arrived Alfred had cooled down considerably and was saying to his wife that he would “meet her half way” on their disagreements. The patrolman left, saying that he would be on call if there was any more disturbance. Reluctantly Althadine gave in to Alfred’s pleading to stay in the apartment just one more night. The next morning, Mrs. Hattie Wright, janitress of the Crocker Block heard someone groaning in the Smith apartment. When no one answered her knocks she got a stepladder and looked in through the transom. When she saw that everything in the room was covered with blood she ran for help. A police officer forced open the door and found Mrs. Smith and Mrs. Wilson lying on the bed in the sitting room; both of their skulls brutally crushed. Lying between them was Alfred Smith, his throat was slashed but he was still alive. Lying on the floor in the thick pools of blood was a carpenter’s claw hammer and an open straight razor. The women were dressed for bed but Mr. Smith was fully clothed so it was first thought that they were murdered in their sleep but closer examination showed that one of Mrs. Smith’s fingers was broken indicating that she had tried to ward off the blows. Alfred Smith was rushed to the hospital but his neck wound was only superficial, not cutting the windpipe or any major blood vessels. He was given twelve stiches and when he was fully conscious he was charged with murder. 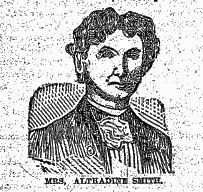 Alfred Smith was scheduled to be tried for the murders of his wife and Mrs. Wilson in November 1886. A jury of twelve men had been chosen from a pool of thirty-six but when the defense discovered that one member of the pool had been from the wrong jurisdiction, they moved that the entire jury be thrown out. The judge sustained the motion and the trial was rescheduled for the following January. In the second trial jury selection was handled with extreme caution and the process took more than a week. When he had been interviewed in the hospital, Alfred Smith maintained an air of detachment and indifference, so much so that reporters speculated that he was preparing for a plea of insanity. The true course of his defense remained a mystery until the prosecution rested and Smith’s court appointed attorneys called him to the stand to testify. He told the court that all of his problems with his wife stemmed from Mrs. Wilson and other Spiritualists who he believed were of low moral character. He had caught Mrs. Wilson in bed with Dr. Sell and he told the court “I did not want her and Dr. Sell around there sucking tongues before my children.” Mrs. Wilson had threatened him with a knife and had once hit him with a poker. He said that on the night of the murder his wife, Mrs. Wilson and Dr. Sell were together in the office when he went to bed. Around 3 or 4 o’clock he was awakened by someone trying to slash his throat. Someone else was holding him down, there was a scuffle in the dark and someone hit him with a hammer. He managed to get the hammer away from the assailant and began swinging wildly hitting everyone within range. It was too dark to tell who they were or even whether they were men or women. He did, however, believe that the person who tried to slash his throat was Dr. Sell. Though very few believed Alfred Smith’s testimony it seemed to have some effect on the jury. On their first ballot four voted for first degree murder, four for second degree or manslaughter, and four for acquittal. The group favoring first degree were not anxious to hang the defendant and soon agreed on second degree murder but the four for acquittal were tenacious and the jury argued for nearly twenty-four hours before finally agreeing on second degree murder. Alfred Smith was sentenced to life in prison and was taken to the Ohio Penitentiary in Columbus. The West Side Progressive Lyceum held memorial services for Althadine Smith and Louisa Jane Wilson, whom they considered martyrs to their cause. Their funeral plans however, arranged by Dr. Sells, were dashed when Mrs. Smith’s brother took her remains back to Oswego and Mrs. Wilson’s mother held her own funeral, refusing to have anything to do with the Lyceum. She blamed the Spiritualists and Dr. Sells in particular for the death of her daughter. "Alfred Smith's Awful Story." Daily Inter Ocean 11 Feb 1887: 1. "An Abusive Husband." Cleveland Leader 30 Jan 1886: 5. "Butchered;." Cleveland Leader 1 Feb 1886: 1. "Cool and Collected." Cleveland Leader 2 Feb 1886: 8. "Divorce After Twenty Years." Plain Dealer 30 Jan 1886: 8. "Drink and Develtry." Logansport Pharos Tribune 1 Feb 1886: 0. "Horror!" Plain Dealer 1 Feb 1886: 1. "Martyrs Mourned." Plain Dealer 8 Feb 1886: 8. "On The Stand." Plain Dealer 11 Feb 1887: 5. "Out of Sight." 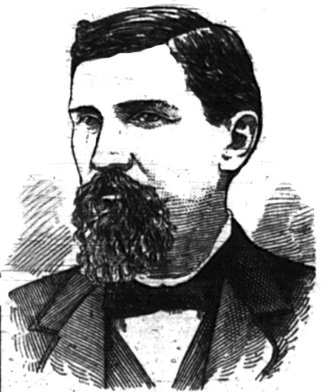 Cleveland Leader 4 Feb 1886. "Personal ." Cleveland Leader 12 Nov 1883: 5. "Smith's Grim Smile." Plain Dealer 3 Feb 1886: 2. "The Trial Begun." Plain Dealer 4 Feb 1887: 8. "To Be Tried For Murder." Plain Dealer 27 Jan 1887: 8. "Thank you" to David Loiterstein of Readex for bringing this case to my attention. Great story and great research Robert! I think this may be my favorite since the Tenants Harbor post...and you know the chase that set me on! Keep up the great work! Thanks Jim, glad you enjoyed it! I hope the chase is going well.